Every decade has its own perfumes that reflect lifestyle and zeitgeist. If this really is the case with a fragrance, then it is beyond fashion. Joop! Homme was released by the end of the Eighties – a highly political decade. People recognized the arms race as the major threat of their lives. That kind of “Angst” had two effects: Hundreds and thousands of Europeans protested against new generations of missiles being placed into their countries, and against the so obvious plans to sacrifice Europe in Reagan's final war against communism. On the other side, a more conservative reaction in European youth cultures (Poppers, Teddies) was to go back and celebrate past times so one wouldn't have to cope with a perilous presence. Escapism or uproar – this conflict determined thoughts and behavior of people, and it led to strange contortions in every day life and culture. As always when crisis becomes public perception people developed a special need for safety and security. New cultural expressions had to be found to ban the ghosts of insecurity. A kind of leftist cosiness or gemütlichkeit was being introduced, and especially the ecological movement provided a blueprint for it with its calls for living in harmony with nature. Urban people began spinning their own yarn from vintage unbleached sheep's wool, and after this, they transmuted the knitwear into bulky, scratchy pullovers. Also, the increasingly popular New Age scene offered those small escapes: How nice it was to close the door, light a cheap scented “Opium” candle and read the books of J.R.R. Tolkien and Michael Ende or somewhat more boldly: Carlos Castaneda and Aleister Crowley! Coffee was disdained except if it came from the farming cooperatives of revolutionary Nicaragua. People were drinking tea! There were vast numbers of different sorts: usually cheap black teas that were strongly perfumed with artificial aromas. Most of it was really disgusting and had a metallic aftermath. One of the most popular sorts of perfumed tea was – and still is - “wild cherry”. This kind of cough syrup flavor is not too bad, it stood out from all the similar tropical, citric or vanilla flavors. The perfume industry of that time was just as slow and sedate as it is today. It took them more than 10 years from the upcoming of the tea culture to develop some fragrances that related to it. By the end of the decade, when perfumed teas were almost out again, they finally released some wild cherry men's fragrances. These “red” gent's fragrances were: Exception by Gainsboro, Feeling Man by Jil Sander and, of course, Joop! Homme. Except for the latter, these were discreet and refined fragrances, and especially Feeling Man being discontinued is a loss. In my imagination, Michel Almairac and the professional fashion designer Wolfgang Joop were the ones to recognize that one cannot cope with the mass phenomenon “wild cherry” by putting it into a refined fragrance. So, Joop! Homme is the only wild cherry men's perfume that presents this scent in just the same robust way as it is done with the black tea flavoring. Joop! Homme was overwhelmingly intense and had lots of sillage.One spritz and you stood amidst a pink wild cherry cloud! It is dominated by candy-like sweet and heady scent that I would describe as reminiscent of wild cherry flavoring. A fine woody touch provides the necessary masculinity. Joop! Homme is a fine but opulent oriental fragrance, and with notes like orange blossom, tonka bean and vanilla, you find some of the same ingredients as in Gaultier's Le Mâle which was released six years later. Joop! 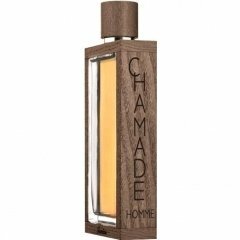 Homme was the first of this type of fragrance, and it stands in a line that ranges over Le Mâle, Body Kouros, Fleur du Mâle to today's One Million. The fragrances of this type all had their time, when people bought them like mad, but then they were more and more regarded as cheap and vulgar – just like wild cherry tea! Whoever likes any of the mentioned orientals should try Joop! Homme. It is still easily available, and it looks like it is also regaining some of its popularity. Currently, many people are fed up with Le Mâle and One Million, but Joop! Homme has been forgotten for a while. For that reason, Joop! Homme will evoke interest again and not offend. But please – use with discretion! Back to Joop! 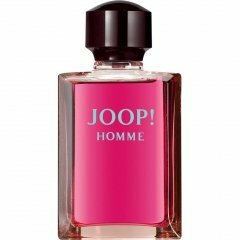 Homme (Eau de Toilette) by Joop!